If you have an iPhone, there are a million headphones and earphones on the market with mics and volume/play controls on the cord. If you own an Android phone, not so much. Control compatibility is hit or miss and you can't count on the mic working all the time. It's super annoying because hands-free talking is great and you don't want to have to unlock your screen just to pause music, adjust the volume or answer a call. 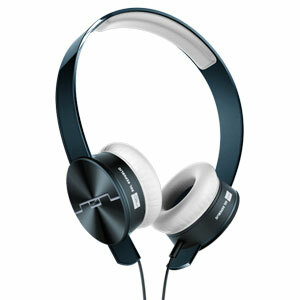 There is hope for Android lovers in the form of headphones designed to work with a wide range of popular handsets. The number is small, but growing. Whether you're looking for over-ear cans or earphones, wired or wireless, there's a pair that will fit your needs. The Tracks HD line of headphones should be at the top of every music lover's list due to the great sound they produce, but they have some added benefits. The first is the ability to remix every element from the headband to the cable. 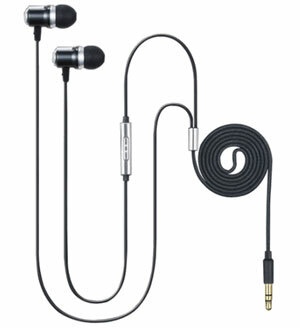 Add one of Sol Republic's $20 omnidirectional Cleartalk cables to the bag to make any pair of Tracks HD Android-friendly. The mic delivers clear sound for phone calls, even when there's a bit of noise in the background. The control cord has just one button for play/pause or answer/end call. There are dozens of Tracks HD styles and colors, but my favorites are the metallic blue Tracks Ultra. They're beautiful and work for both men and women. If earphones are more your thing, this pair truly lives up to the Massive Sound name. I was impressed with the balanced, rounded audio they delivered while listening to music given how relatively inexpensive they are. They block a good deal of noise, thanks to a snug fit, so you can take calls in noisy areas. The mic picked up my voice even when I spoke softly and people I spoke too said I came through clearly. However, it's not the best at blocking background noise. The control cord has just one button for play/pause or answer/end call. 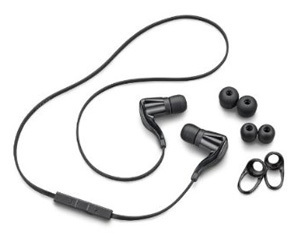 For more control or fewer wires, take a look at the BackBeat GO earphones. They connect to Android phones and media players via Bluetooth, so compatibility isn't an issue. The controller will not only answer or end calls but also play, pause, and skip tracks as well as control volume. Beyond that, it can activate voice controls on your phone (if it has them) so you can speak commands. When you don't need the BackBeats you can just drape them around your neck, so your look doesn't scream I'M WEARING A BLUETOOTH HEADSET. The only downside is that the audio quality, while fine for calls, isn't so great for music. However, if your main concern is having a headset for calls, these are just fine. The mic picks up even soft voices and does a decent job filtering background noise. 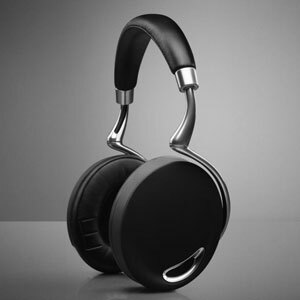 For those of you who want it all–no wires, full control, great audio quality, and great call quality–these Zik headphones designed by Starck are the best. Though they're Bluetooth, even audiophiles will find satisfaction in the rich and well-rounded tones the Zik produces. Yes, the cans are rather large, but they're not too heavy and cover the ears well, blocking sound. Add active noise cancellation and you can wrap yourself in music. But I promised you full control, so check this: the Zik cans are touch-enabled. Swipe up or down to raise or lower volume, swipe forward or back to skip or repeat tracks. There's an NFC radio in there as well, so to pair all you have to do is tap your phone to the speaker and you're set. There are also sensors inside that detect head movement and whether the 'phones are on your ears or not. Finally, a mic array ensures that your voice comes through clearly on calls, even when you're in a noisy environment. In other words, they're more than worth the price.